Lab tests have been carried out on the rate of sweat absorption and breathing of the new Nomex materials used in the RPM XTech. The secret lies in our new CS DRY ® fabric. The unique treatment, perfected by our textile mills partner, is a process added during production that ensures extreme moisture absorption properties in the fabric. 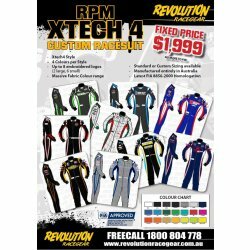 This together with a honeycomb construction inner liner is the secret to the RPM XTech 4.
performance, more specifically the V8 Supercars’ Clipsal 500 and Darwin race events as well as Indy Car where extreme temperatures have been experienced. Similarly, professional drivers in diverse categories such as Sprint cars and Carrera Cup have also focussed on in-car temperatures with heightened potential for heat exhaustion and fatigue whilst racing in hot conditions. development phases of RPM XTech 4 from high calibre drivers, Mark Skaife, Steve Richards & Glenn Seton. All tested prototype models and their valuable feedback aided the final development of the RPM XTech 4 product. 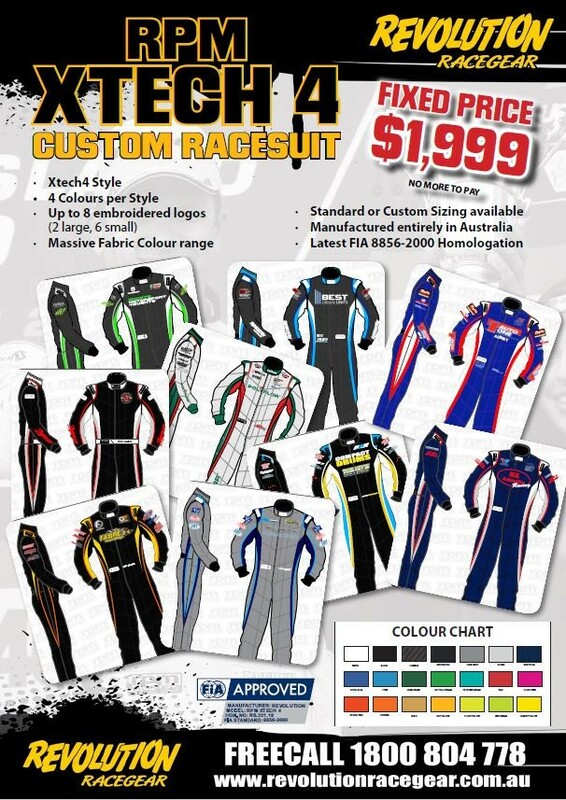 Standard features include ; fully floating “Action” sleeves and Nomex knit stretch fabric on lower back for extra comfort and maneuverability.